This past February 2016, IHR launched the 10-month long Toolkits Project 1 with the aim of helping skilled Syrian refugees ……return to working in the professions they had to leave behind after seeking safety in Lebanon. By securing the necessary essential materials for carpenters, tailors, hair dressers, and greenhouse farmers, IHR’s Toolkits Project 1 gave hardworking men and women the ability to care for their families and advance their socio-economic position. With the resources offered by Toolkits Project 1, former day-laborers can use their expertise to work on their own terms, without having to worry about precarious employment. Last winter, steelworker Riad Ahmed Fayyad applied for IHR’s Toolkits Project 1 and qualified due to his large family, economic situation, and his demonstrated expertise and dedication. One month after obtaining the Toolkit for steelworkers, an IHR team visited Riad for a 2-day Capacity building session, in order to enhance the management and administrative abilities of Toolkit recipients. When the IHR team visited Riad two months later, they were delighted to find that he had turned his small shop into a factory, and had taken in 4 new employees. 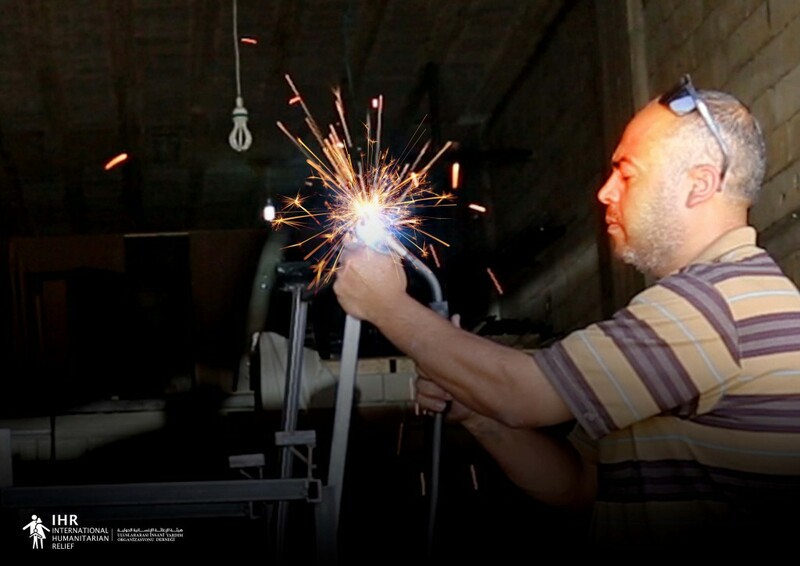 On an IHR follow-up visit three months later, Riad had expanded his factory again and had a total of 8 employees. With the resources and training offered by IHR, Riad was able to put his skills to work and capitalized on the opportunity. Today, he is an excellent example of the possibilities provided by IHR’s ongoing Toolkits projects, the latest of which began this week.